Novichok was neither produced nor stored in the Czech Republic, the government said in a statement on Monday after Prime Minister Andrej Babis met with Head of the Information and Security Service Michal Koudelka and Military Intelligence Chief Jan Beroun. "In 2017, a program aimed at protecting servicemen and civilians from weapons of mass destruction was launched in the Czech Republic. Within the framework of this program, a substance of the type 'Novichok A-230' was tested," the statement reads. 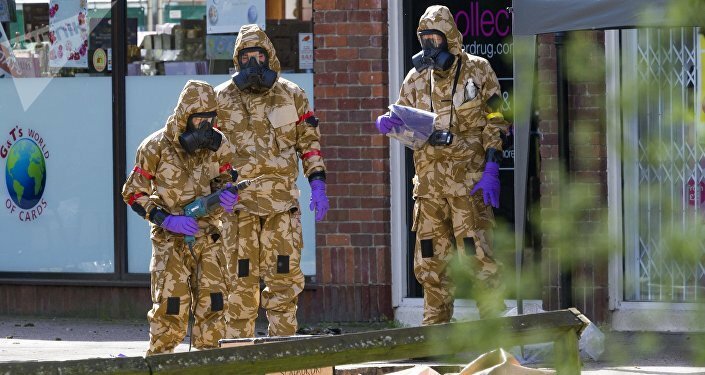 According to the government, in the first phase of the work, a micro-synthesis of the substance "Novichok A-230" was carried out. During the process of microsynthesis, the substance was not isolated, and thus such an approach is not considered either the production or creation of a substance, according to the Czech nuclear methodology. The substance was immediately destroyed and there was no transition to the next phase of the work. "Novichok A-230" differs from the toxic agent A-234, which was allegedly used in the poisoning of the former Russian intelligence officer Sergei Skripal in the UK. Both substances differ from each other and have a different chemical structure. The prime minister went on to explain that there must have been a misunderstanding over the notions "production" and "testing," since, according to the law, any chemical reaction with a substance equals production, whereas the Czech defense research institute in Brno does not define microsynthesis as production, but only as testing. The statement by the government echoes that of the the Czech Foreign Ministry. On Friday, the ministry said that Prague had examined the A230 nerve agent and not the A234 allegedly used in the poisoning. The government's statement is aimed the clarify the country's production of nerve agents after on May 3, Zeman said in an interview with TV Barrandov broadcaster that the A230 substance was produced in small quantities and tested by the Czech defense research institute in Brno in November 2017, quoting the reports by the domestic intelligence service and military intelligence. The president also noted that the substance was destroyed shortly after. Zeman noted that the domestic intelligence service, Security Information Service (BIS) does not call A-230 nerve agent "Novichok" and says that the name belongs to A234; while the military intelligence service has been calling A-230 "Novichok" as well. Commenting on the prime minister's statement, the Russian Foreign Ministry's spokeswoman Maria Zakharova noted that she was puzzled by the Czech government's denial, since at first Zeman publicly persuaded the government to stop hiding the truth about the production of the "Novichok" toxic agent and Czech security service was forced to admit it. However, three days later, Babis branded the president's statement a "misunderstanding," which the spokeswoman called "a lie". On March 4, the Skripals were poisoned in the UK city of Salisbury, sparking an international scandal. London accused Moscow of orchestrating the attack with what UK experts claim was the A234 nerve agent. Moscow has repeatedly refuted the allegations and pointed to the lack of evidence provided by London.